If you listen to your body when it whispers, it won't have to scream. Ashiatsu is a barefoot massage technique using deep strokes from the therapists' feet. It is a western version of an ancient form of bodywork, with roots dating back thousands of years from cultures across Asia, India, Africa and the Pacific Rim. In an Ashiatsu session, the client relaxes on a comfortable massage table while the therapist stands on the table holding onto overhead bars for balance and support, using their feet to deliver the massage. 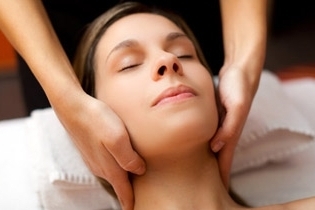 The advantage of this massage is that Ashiatsu allows gravity to do the work, leveraging the therapists' body weight to provide a depth unmatched by other techniques. Deep Tissue massage is a form of Swedish massage, often with heavier pressure to relieve tension for the lower layers of musculature. It is more commonly used to help relieve chronic pain with therapeutic intent specific to your needs. The health benefits of this style include increased range of motion, reduction or elimination of pain, and improved circulation among many others.